Welcome to Seniors Tennis. 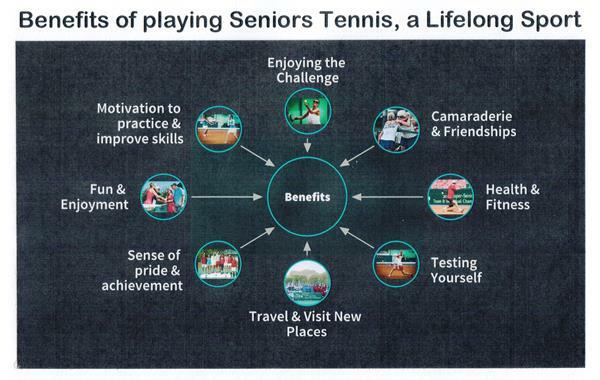 Tennis New Zealand Seniors would like to increase the playing opportunities and social interaction for tennis players of all standards over age 35. To view previous years results of the ITF Worlds Teams & Individuals, go to "Events"
and scroll down to "ITF Seniors World Events Previous Results". Click here: For more photos from overseas - Q Maisey & S Temple in Italy. go to "Events" and scroll down to "ITF Seniors World Events Previous Results"
For previous National Champs & Teams Event Results - check Events "Previous National Results"